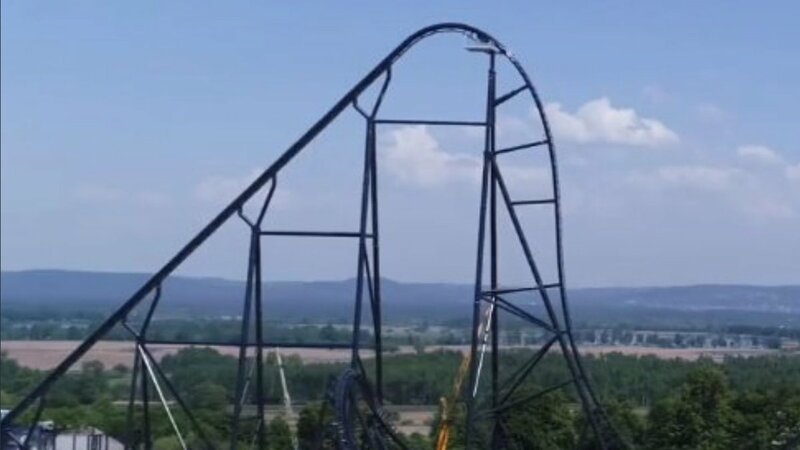 Amusement Park Worker Dies at Energylandia, Zator, Poland. At approximately 8:00pm earlier today (Thursday, 16 August) an accident caused the death of a 37-year-old employee of Energylandia, according to the faktyoswiecim.pl site. (Update, Friday, 17 August) The coaster is now open and operating again as of around 12:00 local time. The worker was said to be working at the Hyperion ride when he attempted to retrieve a phone that a guest dropped during the ride, one of the coaster trains struck him during this attempt, he was pronounced dead by a doctor after resuscitation attempts. gazetakrakowska.pl reports that witnesses in the queue for Hyperion first heard a large bang. Afterward, people started jumping over the fence to help the man that had been struck by the coaster train. "I was standing in the queue when it happened, and at the beginning, they [tried to] resuscitate someone, and then the body was lying behind curtains." 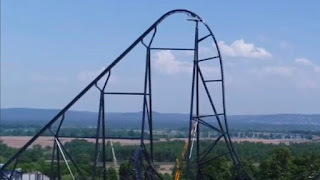 Hyperion opened last month at Energylandia. The exact location of the accident is unknown. This photo from BNB Extra, Poland, shows emergency services at the scene after the crash. The coaster soars over 250 feet into the air and features an 85-degree drop straight into a tunnel. Reaching speeds up to 87 mph, it is the fastest in Europe. It features multiple low-to-ground turns during the course of the ride.